Of late, the Sarawak state education system has been under constant fire with issues ranging from lack of basic facilities, insufficient teachers due to high rate of transfers, accessibility, and connectivity. In terms of social and economic implications, the state’s inadequate education system has become a major concern especially when education authorities have gone on record acknowledging that dilapidated schools in rural Sarawak are very common. Christmas is less than two weeks away, but for this columnist it is a time for juggling bills instead of singing Jingle Bells. What with the Chinese New Year coming about a month after Christmas, expenses are heavy and there is the usual flurry of end-of-the-year bills to be paid. Of late I’ve been receiving harsh retorts and brickbats from some Malays. They are upset with my views about Umno policies, especially my argument that Malays don’t need special attention or preferences to empower them or to make them successful. They say I am ungrateful since Umno made me rich. The “blood money” issue which was raised by then Bukit Gantang MP Datuk Seri Nizar Jamaluddin before the 13th general election (GE13) is making its rounds again in Facebook. Who can blame the people from regularly raising the matter when the Malaysian government has refused to clarify the issue beyond doubt? Pakatan Rakyat lawmakers have hit out at Putrajaya for its failure to rein in illicit money outflow, with one demanding that Prime Minister Datuk Seri Najib Razak give up his Finance Minister’s post for his failure to stem the tide. Sarawak SMKs fare below nation’s average education standard due to insufficient funds and delays in processing requests for development and maintenance of schools. PKR spokesperson Boniface Willy Tumek fears that allocation of the education budget for Sarawak is insufficient and urges that autonomy be accorded to the State’s Education department. The amount of money illegally siphoned out of the country in 2011 made Malaysia the fourth largest exporter of illicit capital that year, said anti-graft watchdog Global Financial Integrity. About RM174 billion was illegally siphoned out of Malaysia in 2011, making the country the fourth largest exporter of illicit capital that year after Russia, China and India, said anti-graft watchdog Global Financial Integrity (GFI). In a much-awaited speech on the reform of higher education in Muslim societies, Anwar Ibrahim disagreed with the popular notion among Muslims that western education is devoid of an ethical and moral dimension. Anwar said this notion, widely disseminated in Islamic intellectual circles, has been a hindrance to the development of Muslims, particularly in the scientific and technical spheres. A Christian tsunami at the next general election? Not likely, say political analysts, who pooh-poohed Malay rights group Perkasa for turning the country’s religious minority into a bogeyman. Analysts said if the ruling Barisan Nasional (BN) Government was sensitive to the needs of Christians, it need not worry about any threat to the survival of Malays and Islam in the country. Speculation is growing in Kuching, Sarawak, that a private developer is to revive a long-shelved plan to instal a cable-car system on Mount Santubong, which is steeped in legend. Fearing the defacement of a site of unique natural beauty, that is also associated with local folklore and history, residents have started a petition against the project. The Sarawak United People’s Party (SUPP), the oldest in the state, has been warned of “a permanent break-up” in the event that Sibu branch chairperson Wong Soon Koh is expelled. The branch and its 15 units are prepared to sink or swim with Wong, it said a statement. Native landowners from as far as Simunjan, Sebangan, Lundu and Sri Aman displayed a united stand at a rally in Kuching today. They urged Sarawak Chief Minister Abdul Taib Mahmud to return lands that have been grabbed, to respect the rights of the natives on land and respect the decision of the courts on the definition of native customary rights (NCR) land. The crowd at Padang Merdeka in Kuching today, to protest the Sarawak state government’s acquisition of customary lands. Hundreds of Sarawak native customary rights (NCR) landowners staged rallies across Sarawak today to protest the state government’s alleged forced acquisition of their land. They also demanded that the BN-led government respect their rights to determine how their land should be developed. Datuk Abang Johari Tun Openg is not known to be a petty type of person. He is considered a veteran now having been in politics for more than three decades, a good part of it as a minister in the Sarawak cabinet. In fact, I quite like him as a political worker because he is one who prefers to do his work quietly without much fanfare. Neither is he a controversial figure. I consider the Sarawak minister of tourism a friend although we have not communicated on a personal level for years. The 4Rs – race, royalty, religion and the rural people – have been used by Umno-Baru to divide and rule Malaysia. When Najib asked the rhetorical question, “Where would the Malays be without Umno-Baru?”, it was a cry of desperation and an admission of defeat. Umno President Najib Razak diminished the stature of a great man when he said last Saturday at his party’s general assembly that Umno fought for the “same cause” as Nelson Mandela, who had died two days before. What same cause? Mandela fought against racial discrimination whereas Umno institutionalised racial discrimination a few decades ago and still upholds it. 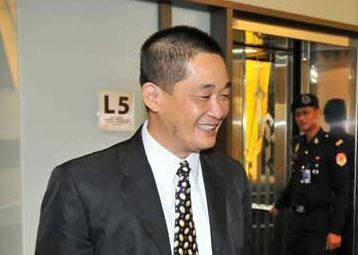 Anwar (left) meeting Meshaal at the office of the Palestinian Cultural Organisation in Kuala Lumpur on December 5. – The Malaysian Insider pic, December 9, 2013.On the sidelines of last week’s Umno general assembly, a senior Palestinian leader got Umno and Parti Keadilan Rakyat to meet secretly to revive reconciliation talks that started after the 13th General Election, we has learnt. Umno vice-president Zahid Hamidi cannot resist the temptation to strut the muscular stuff before an Umno audience. To Zahid, an Umno audience is like the red bandanna a matador flashes at a bull to get its nostrils all flared up for a charge which usually ends with a rapier lodged in its skull. The question Umno needs to address is this: how many Malays are with Umno and how many against? And Umno is now looking at the Malays in PAS and PKR. Prime Minister Datuk Seri Najib Razak should consider appointing his wife as Minister of Special Affairs as she seems to be adept at carrying out the duties of several ministers, said former New Straits Times group editor-in-chief Datuk A. Kadir Jasin (pic). 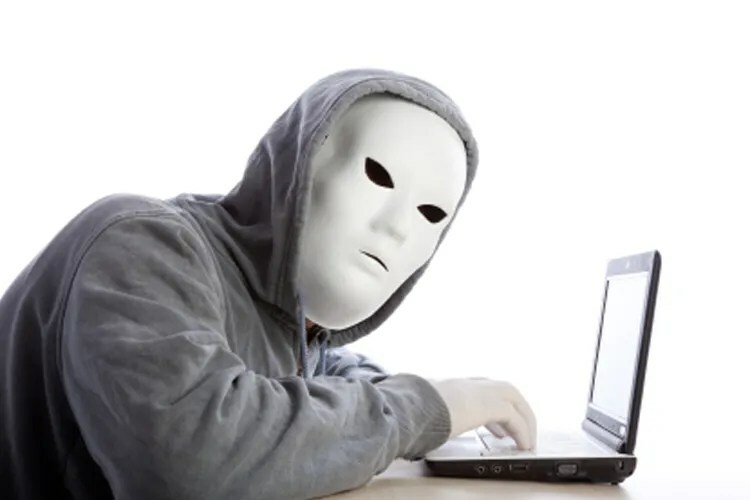 Writers, like me, seek to inform their readers of the abuse of power, corruption, criminal acts and injustices which are perpetrated by the leaders. Umno Baru is nothing more than a bully and a coward. When we were at school, we were told that there was only one way to deal with bullies. You confront them. Most Umno Baru politicians are shameless cowards who function best when in a pack. They think they can do no wrong. The unprovoked attack and bewildering prejudice exhibited by the director of the film ‘Tanda Putera’ against my 2007 book, ‘May 13: Declassified documents on the Malaysian riots of 1969′, are symptomatic of a deeper malaise evident among the Umno-nurtured propagandists in Malaysia who appear diligently uninterested in distinguishing fact from fiction. 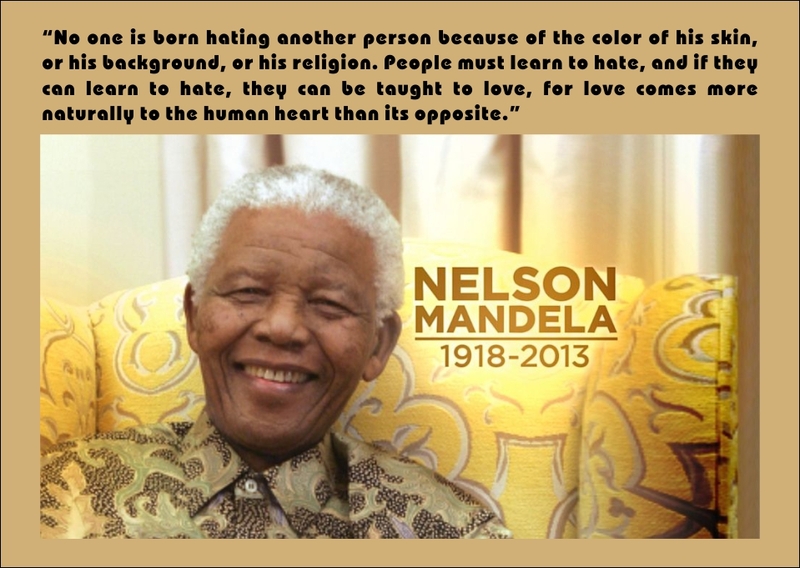 I woke up this morning to the news that Nelson Mandela, or Madiba Mandela as known in his native culture, had just passed on. Strangely, I did not feel sad but an immense sense of celebration, safe in the knowledge that the wonderful man has fought a very good fight on earth and is now reunited with his maker. It is no doubt a job well done. Banning to resolve issues has never worked and will not! Jakim, Malaysia’s department of Islamic development, recently called for the censorship of the Internet to ward off attacks on Islam. This is a very futile suggestion. Man is a thinking being and in the current technological era where information is at the snap of your fingers, only those without any thinking power can succumb to illogical persuasions. Muslims have been over protected in Malaysia as if they have no thinking faculties and are very fragile in character. As hard as I’ve tried over the years, I‘ve found it impossible to definitively describe the system of government, or more accurately misgovernment, that the BN regime has insidiously, illegally and indeed criminally imposed on Malaysia. But whatever it is, it sure as hell is nothing like genuine democracy. In fact it is so far from true government of the people, for the people, by the people that I wonder why BN bothers to keep pretending it’s anything remotely resembling the real thing. I have no intention to ridicule or insult Datuk Ibrahim Ali. But I will be open and blunt and not mince my words when talking about the Perkasa chairman. Well, that’s just to take the cue from him – he doesn’t mince his words too whenever he opens his mouth to say negative things which hurt the feelings of others. It’s particularly insensitive of him to make unwarranted remarks deliberately and with ill intent. I want to honestly say that Ibrahim is a lousy public speaker, a pathetic one even. There is no steady flow in his speeches, whether in Bahasa Malaysia or English, and his sentences are almost always incomplete. He has a low, deep voice and when he attempts to raise it, he appears to be shouting. Bersih says the recent statement by the former EC chairman further damages the commission’s credibility in conduction elections. Bersih 2.0 has reiterated its call to the Election Commission (EC) to stop its redelineation exercise until the electoral rolls have been cleaned and the whole leadership of the EC stepped down. A lawmaker from Sarawak PKR made an impassioned plea at the state assembly last night to adopt the Suhakam (Human Rights Commission) report on the land rights and the welfare of the nation’s indigenous people. Krian assemblyperson Ali Biju’s (left) plea came after a motion to adopt it had earlier been rejected by speaker Asfia Awang Nasar. In today’s The Star newspaper, Minister in the PM’s department, Datuk Seri Shahidan Kassim provides some precise figures on help extended to the poor among Malaysians of Indian ethnicity. Tekun has provided 12,319 Indians with RM153.9 million, while 7,714 people were given RM47.5 million. Perhaps, it would be useful for the minister to elaborate on the nature of the help given. Malay rulers: Regress or reform? Since the passing of a constitutional amendment in 1993 which revoked the immunity status of the Malay rulers, it has become a subject of contention in the contemporary Malaysian politics. More guns to fight gun crimes? Should we arm more law enforcement officers in Malaysia with guns? 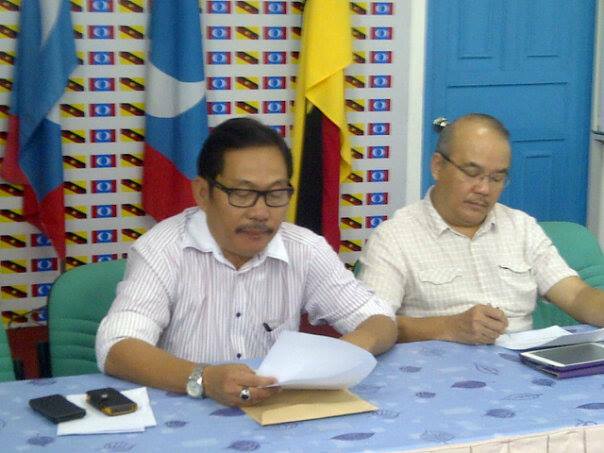 The Taib Mahmud administration does not want Perkasa anywhere in Sarawak. A state minister and a member of Taib’s Pesaka Bumiputera Bersatu’s (PBB) supreme council said Perkasa “is not welcome in Sarawak”. Malaysia’s Islamist party PAS heads to its 59th muktamar this week, electing its leadership once again as it does on a biannual basis. The party’s elections have come under the microscope, with attention riveted on the heated contests between the ‘pro-ulama’ and ‘progressives’ or ‘Erdogan’ factions. Fourteen representatives of the Penan community marched to Parliament House today, demanding a stop their eviction from their ancestral land, which has been taken over for a mega-dam in Belaga, Sarawak. They went to the Opposition Leader’s office to hand over a memorandum that also asks Prime Minister Najib Abdul Razak to ensure a consultation process between them and the authorities. Tomorrow is the 28th anniversary of one of the worst massacres in modern Malaysian history, when government forces opened fire on harmless farmers in a small village in Kedah.In the early hours of Nov 19, 1985, several Police Field Force units surrounded Memali, before launching an attack on a small group of villagers holed up in one house. By noon, 14 men had been murdered in cold blood. Four police personnel also died under friendly fire.The object was to detain one man, the charismatic and influential ustaz (religious leader) – also a successful radio and TV commentator – popularly known as Ibrahim Libya (right). Pakatan Rakyat top leaders, (from left) PAS president Datuk Seri Abdul Hadi Awang, PKR de-facto leader Datuk Seri Anwar Ibrahim, and DAP advisor Lim Kit Siang. The coalition’s stand on religious issues has been described as ‘smart’ by analysts. – The Malaysian Insider pic, November 17, 2013.With the many religious controversies taking place in the country now, political analysts described the stand taken by Pakatan Rakyat in reacting, rather than taking pro-active measures, as “smart”. On June 27, I published a posting entitled Malaysian Parliament vs Animal Planet. On November 14, judging from media reports, the Dewan Rakyat was transformed from the more respectable Animal Planet into a mere zoo.